Tasting Stations, Cigar Lounge, Casino Games and More! Love fine wines and spirits? Attend the October 22 Ultimate Guys Night Out and enjoy Jack Daniel's Tennessee Whiskey or Hendricks Gin courtesy of our Tasting Station Sponsors Consolidated Credit and Debt.com . Also thanks to our Beverage Sponsor Breakthru Beverage of Florida. Puffers welcome to indulge in the outdoor Cigar Lounge sponsored by Quality Importers Trading Company. Try your luck at poker, roulette or blackjack in the Casino Lounge sponsored by Stiles Corporation. Bring your friends, clients, business prospects and colleagues and enjoy a unique experience at The Ultimate Guys Night Out! Tickets are limited. Buy yours today! Sponsorship opportunities and journal ads are available! Please contact Kellie Hensley at (954) 979-7124 or Kellie@JASouthFlorida.org. and a push in the right direction." You can help young people in your community to develop the competence, confidence and character needed in school, work and life by teaching a Junior Achievement of South Florida classroom program! We're looking for volunteers to teach JA Career Success and JA Personal Finance in November and December at Hallandale Magnet High School. We need mentors to dedicate 1.5 hours each day (programs range from 3-5 days). For more details, including available dates, times and training, contact Katrina Young at (954) 979-7104 or email Katrina@JASouthFlorida.org . Junior Achievement of South Florida is excited and proud to be partnering with the IBERIABANK team. This incredible group once again spent the day mentoring JA BizTown students. In addition, the bank has generously provided scholarship funds for JA BizTown Camp. IBERIABANK is a financial holding company with 319 combined offices, including 216 bank branch offices and one loan production offices in Louisiana, Arkansas, Tennessee, Alabama, Texas, Florida, Georgia and South Carolina, 24 title insurance offices in Arkansas and Louisiana and mortgage representatives in 63 locations in 11 states. The company has 14 locations with representatives of IBERIA Wealth Advisors in four states and one IBERIA Capital Partners, L.L.C. office in New Orleans. It was the 1970's all over again! JA Bowl-A-Thon was a huge success! Every lane was sold out to bowlers donning their best 70's outfits to win the title of "best team costumes." "The folks at at Consolidated Credit had a funkadelic time at this year's Bowl-A-Thon! Supporting such an amazing cause is really far out! "- Jana Bradburn, Consolidated Credit, which raised more than $17,000 for JA. 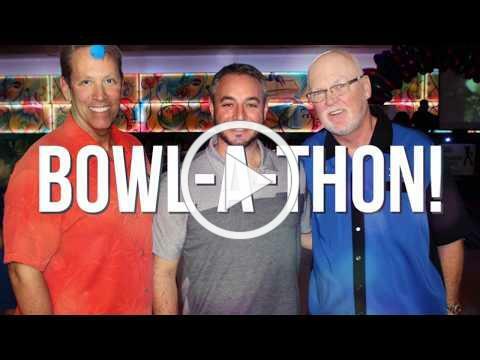 Thank you to all the teams that participated in this year's Bowl-a-Thon to support JA programs on September 26 at Strikes in Boca Raton and September 28 at SpareZ Bowling in Davie. Participants brought family, friends and co-workers to the bowl and raised nearly $80,000 so far for JA programs! Thank you to our sponsors: City Furniture, Champion Solutions Group, TD Bank, American Express, Exotech, Inc, Hypower Inc., KPMG, Team National Hope Foundation and SpareZ Bowling. Also thanks to our Co-Chairs: Peter Anderson, David Gussack and Joe Schumacker! If you couldn't join us to bowl, you can still participate by making a donation toward the JA Bowl-A-Thon online by Friday, October 12. The Junior Achievement of South Florida team is seeking qualified candidates for its Facility Maintenance Technician position. This role is an important part of the JA team, as she/he helps maintain the Junior Achievement building - JA World Huizenga Center at the Lilian S. Wells Pavilion. If you know someone with experience in building maintenance and is seeking a new career opportunity, please share this email with him/her.